The founder of a Chinese law firm known for representing cases against the government has been sentenced to seven years in prison for subversion. Zhou Shifeng's conviction in Tianjin is the latest development in a government crackdown on legal activism. His Fengrui law firm was involved in several high profile cases, including the 2008 tainted baby milk scandal. The crackdown has been widely seen as an attempt to silence outspoken government critics. Around 300 lawyers and activists have been arrested since last year. About 20 are still detained. How seriously do the Chinese take 'confession' videos? Two other activists - Hu Shigen and Zhai Yanmin - were convicted in Tianjin this week under the same charge. Gou Hongguo is also expected to go on trial. Amnesty International has accused the Chinese government of "relentless suppression of human rights lawyers and activists". "This wave of trials against lawyers and activists are a political charade. Their fate was sealed before they stepped into the courtroom," said Roseann Rife, East Asia Research Director at Amnesty International. 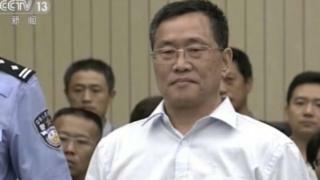 Mr Zhou pleaded guilty in court and will not appeal against the ruling, reported state media outlet Xinhua. Prosecutors said he had worked "to encourage lawyers to highlight sensitive cases and hired protesters to disturb the judicial system". He also "played a major role in a group of activists who attempted to manipulate public opinion and damage national security by spreading subversive thoughts," state media quoted the verdict as saying. The 52-year-old has also been deprived of his political rights for five years. Zhou Shifeng has been involved in some of China's most sensitive cases, from taking on a powerful company involved in selling tainted baby milk formula to representing those persecuted for their religious or political beliefs. The main thrust of the case against him seems to be that he encouraged protesters to gather in support of his defendants, a perhaps understandable strategy in a system in which 99.9% of cases end in a conviction. In July last year, more than 300 human rights activists and lawyers were detained or questioned and Mr Zhou is one of the 20 or so who have remained in custody ever since. His is the third such trial this week, and his sentence will serve the likely purpose to all this: sending a stern warning to those who dare to challenge the government in its own, Communist-Party-run courts. Some 40 people, including lawyers and journalists were present at the brief trial. But none of his family members were in court, as he allegedly requested in a letter posted by the court on micro-blogging site Weibo. Mr Zhou and the now-closed Fengrui law firm have frequently challenged the Chinese government. They have represented clients such as activist artist Ai Weiwei and members of the banned Falun Gong meditation sect, as well as taking on the company behind the selling of tainted baby milk formula. On Monday, prominent Fengrui lawyer Wang Yu was allegedly released on bail, after a video in which she renounced her legal work. She also denounced Mr Zhou in the video, calling him an unqualified lawyer, and added that "foreign forces" were using the firm to undermine and discredit the government. China's crackdown, which started last year, has targeted the country's small human rights advocacy movement and involved lawyers tackling cases to do with freedom of speech, religion or abuses of power. How seriously do Chinese take 'confession' videos?